Agricultural Drones Market will be driven by increasing funding for Unmanned Aerial Vehicle (UAV) manufacturers and growing awareness about benefits amongst farmers. Improving automation and precision farming initiatives will support the industry growth. Farmers are implementing this advanced technology to obtain better productivity and efficiently use their land, water, and fertilizers. These products also help farmers in taking pictures of their fields, and providing crop and soil data for assisting crop management. Adding sensors and other equipment such as GPS and Geographic Information System (GIS) has benefited UAVs for better positioning and traveling. UAV LiDAR and photogrammetry imaging applications are potential opportunities for the agricultural drones market size. UAVs mounted with lidar drones in community projects will help in providing aerial view and building topographic maps. Imaging software is important for processing images that are captured by the cameras mounted on the UAVs. This software also enables data analysis for the required fertilizer amount to be sprayed in the fields. The UAVs equipped with thermal, infrared, multi spectral, and hyperspectral cameras provide a better vision for farmers to protect their crop and plantation. The agricultural drones have gained maximum leverage from the Internet of Things, arguably making agricultural industry much more advanced than ever before. The IoT is now set to drive the future of farming to the next level. High-tech and smart farming are no more things of the past, thanks to sensors and agricultural drones. Software solutions are in a way helping farmers by delivering real-time data for boosting yields. Furthermore, all of these technologies including satellite farming and agricultural drones are helping precision farming market to stimulate over the coming years. The digital agriculture brought by these drones and robots is charting a path for next-gen agricultural industrialization. As per the UN Food and Agriculture Organization, by 2050, the world will need to produce 70% more food than it did in 2006 to feed the ever-growing population of the Earth. To meet this demand-supply mismatch, farmers and many agricultural companies are turning to invest more into such technologies, which in turn is driving the agricultural drones industry share considerably. The government entities of many countries are likely to encourage and take initiatives regarding the use of such technologies in precision farming. 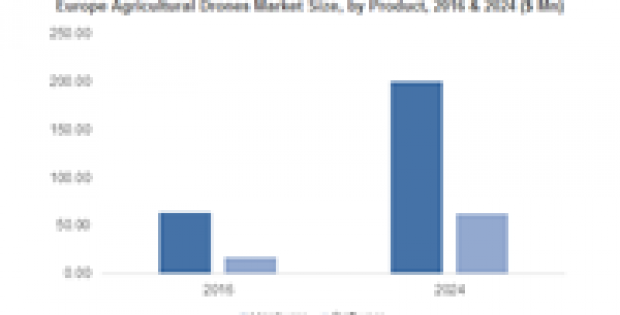 Global Market Insights, Inc., forecasts the global shipment in agricultural drones market to exceed 200 thousand units by 2024, growing at a rate of 13% over the period of 2017-2024. These UAVs facilitate farmers with aerial cameras for crop monitoring, soil & field analysis, and health assessment of the yield and irrigation assistance. These pros are expected to increase the product adoption among the farmers in the coming years. Farm equipment manufacturers are including the digitalization of farms by providing various features such as GPS, geomapping, satellite imagery, and automated systems. This increasing adoption of precision agriculture will stimulate the demand for UAVs in agriculture. U.S. agricultural drones market size was over 30% of the global revenue in 2016. 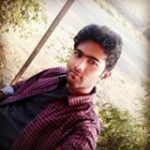 Rising trend of implementation of UAVs for enhanced productivity and increasing awareness of precision agriculture for crop scouting and field mapping is expected to drive the industry growth in this region. APAC agricultural drones market will benefit from growing adoption and technological developments. Companies are investing in the region to develop low cost and effective UAVs for numerous applications in the agricultural sector.